﻿Hello guys, how was the weekend? Hope you guys enjoyed it? Cos i really enjoyed mine here. 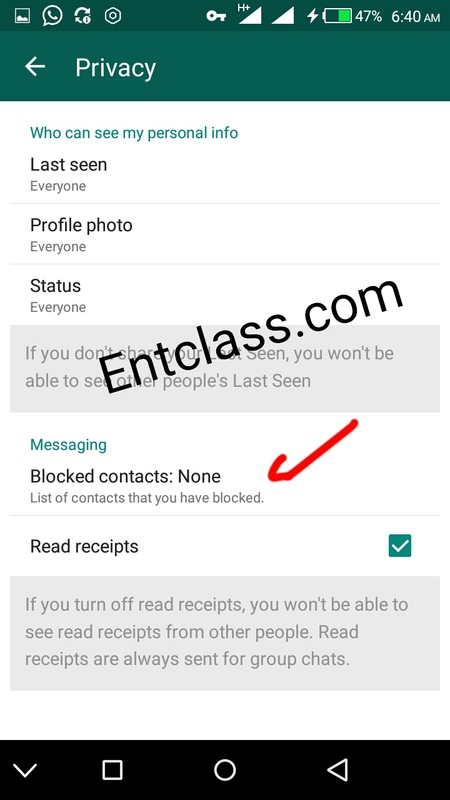 I got complains from some followers of this blog Entclass.com that they are being added to an Unknown group in which the sc.am.mers got their numbers from the post i created for the readers of this blog to drop their number so they can be added to Entclass.com Whatsapp Group. Some suggested that i delete the post which i didnt welcome. I know all this will happen, thats why i made it clear in the post that the number that will add them to the group will end with 5846. Today, i will teach you guys how to stop that number from re-adding you to the group. Some even complained that after leaving the so called group, the sca.mm.er still re-add them again, which is annoying. I'm really sorry guys for the stress i must have caused to you guys. 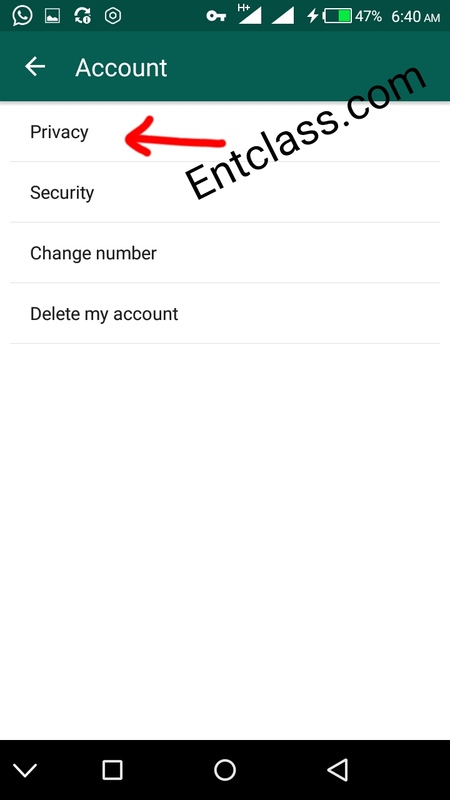 Now follow my below steps to stop that number from re-adding you to the group. First of all, take note of that number that added you to an unknown group which you didnt request for. Save the number in your contact. 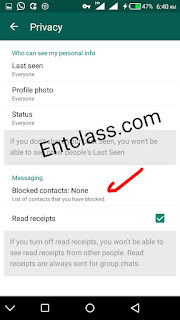 Now, tap on "Blocked Contacts"
You will see a icon with plus sign at the top right corner. Tap on it and locate the number you saved earlier. 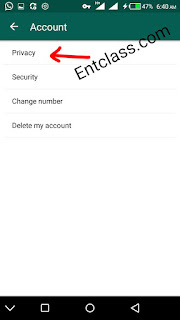 Tap on that contact, then the contact will be added to your blocked contactS. Now, go to your phonebook and delete the contact on your phonebook. With this, they can never never add you to groups again or even chat with you. Hope this will be a stop to those complains.? Comment if you have tried this. Have a blessed week ahead guys..
Nice one and some groups can be very annoying sometimes.